Visiting Southern California and wondering if it’s really worth your time to stop in Los Angeles? We say yes! 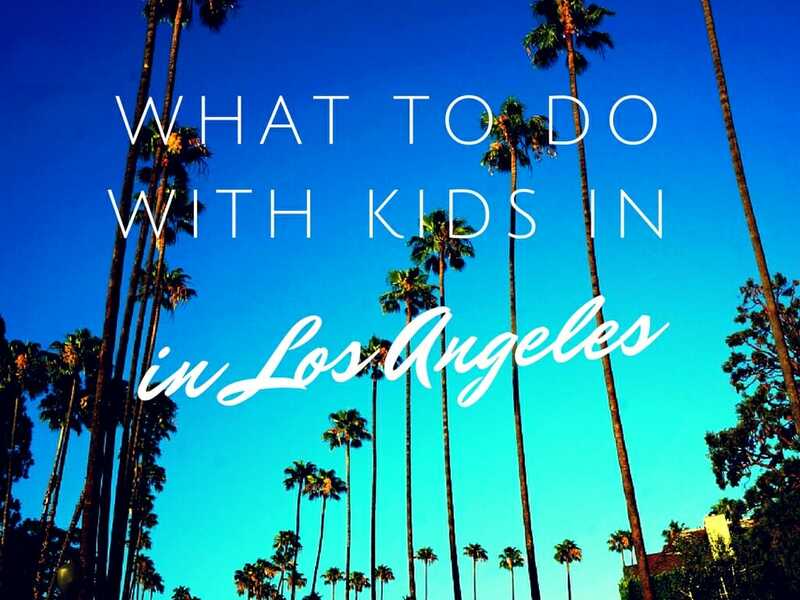 There are a ton of things to do in Los Angeles with kids, not just amusement parks. It’s a huge city with so much to do for both adults and children. You can make a visit to Los Angeles all about the kids, or you can do things that both you and the kids will enjoy while getting a broad sampling of everything this massive city has to offer. Since moving to here, I have become very aware of the image people have of Los Angeles – obscene traffic, out of control botoxed people, gang violence and ugly strip malls. Yes, we have all of that, but we also have so much more. I will admit that it took me a while to get over my NorCal leanings and really see LA for all it’s amazingness. But now that I do, my goal with visitors is to also show them the real LA, not just reinforce their impressions from the TV and film industry. After a few years of showing visitors around, this is our go to list of things to do in Los Angeles with kids. I’m always surprised that the Venice Canals are not on many people’s lists of things to do in Los Angeles. The beautiful and delicate feel of the Venice Canals are always a surprise to visitors. It’s such a unique place that you don’t feel like you are in Los Angeles at all. As a bonus for children, there is a small playground (at 2401 Dell Ave) with ducks that is great bribe material or just a fun surprise for the little guests in the group. After a wander around the canals, head over to the beach for some sand play and to check out Muscle Beach and the touristy shops which is a must on many out of town visitors to do list in LA. If you happen to go during the winter, buy a sled for some awesome sand sledding. End your time in Venice with a stroll on Abbott-Kinney and a meal at the up market Gjelina for possible celebrity spotting or grab something quick at the Los Angeles famous Lemonade. Out of towners won’t let you live it down if you don’t give them at least a glimpse of Hollywood. Take a stroll down the bustling tourist area on Hollywood Blvd to check out the TLC Chinese Theater where the Academy Awards are held each year, the stars on the sidewalk and maybe even get an ice cream at El Capitan. You may not think it, but kids love checking out the stars on Hollywood Blvd as well as seeing the abundance of dressed up characters posing for photos (for money!). If the kids need some run around time, let them have fun on the piano staircase or frolicking in the fountain at the outdoor mall near California Pizza Kitchen. Don’t forget to make a quick stop in Muji – the best Japanese shop ever! One of our favorite destinations in Los Angeles is downtown. Many visitors think only of Skid Row when you mention downtown. Yes, that is still there, and growing by the day, but what is also growing is a beautiful dining and entertainment scene. We could spend several days downtown, but on a limited schedule it’s worth a short visit at the least. Some of our favorite places to hit up while downtown include the Grand Central Market for a meal or light snack before heading to the awesomely quirky Last Bookstore. 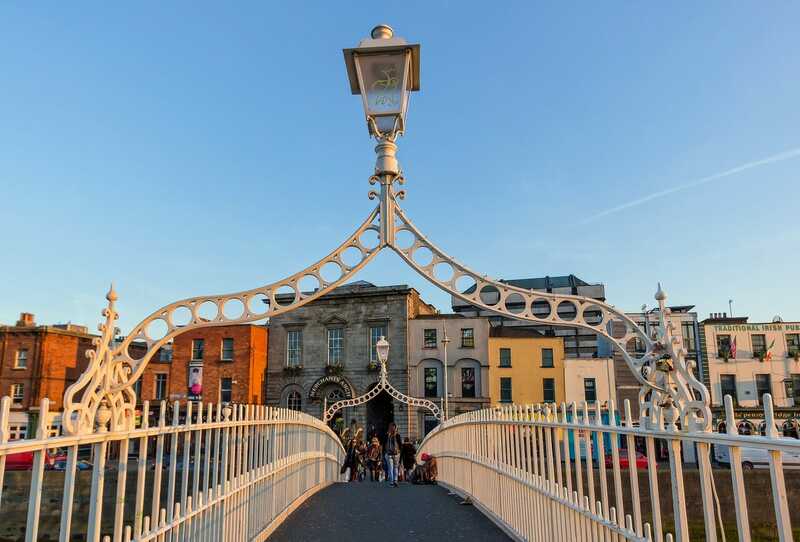 If your visitors are in town during a hot spell (which could be at any time of year! ), head to Grand Park to cool off in the beautifully family friendly fountain suitable for all ages or head downhill a bit further for the quirky mole hole playground (located down the hill from the fountain and metro station). If you have art lovers in the bunch, the Museum of Contemporary Art and the new Broad Museum are a must. Don’t forget a photo op at the Frank Gehry designed Walt Disney Concert Hall. Saving the best for last, head to Broadway for a meal at the newly refurbished Clifton’s Cafeteria for some food to meet everyone’s needs and old time fun with taxidermy for company! There are an abundance of beach options for visitors to Los Angeles, with most heading to the pier in Santa Monica. Granted that is a fun day out, but for the quintessential feel of Southern California with beautiful cliffs and a scenic drive, head to Malibu. 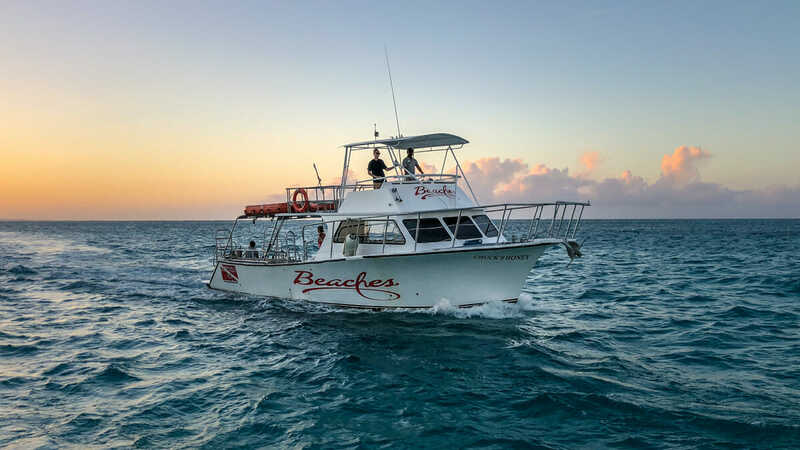 Here you can explore tide pools and caves during low tide or just relax on some uber sandy beaches before heading to Neptune’s Net for a delicious fish meal overlooking the coast. It’s a long drive, but the scenery is worth it. This is not something usually on the tourist radar but everyone we have taken to the California Science Center has loved it. Adults and kids alike will be awed by the chance to see the Endeavor up close. We take it for granted that we have seen an actual space shuttle drive through our streets, but for many this is a once in a lifetime visit. Add in picking up a truck with your muscles, 3D movie experiences and tons of cool exhibits and everyone will be happy for the day. Pack a lunch and eat outside at the rose garden where the kids can run off some steam. The museum is free, but parking is $12 (cash only). Watts Towers is a great off the beaten track destination to take visitors to in Los Angeles. Getting off the beaten path in South LA is an eye opener for visitors to see how diverse this city truly is. And what a quirky fun exhibit to check out at the same time! Kids will be mesmerized by the ingenuity of just one man. Check opening times as tours are not always provided, even though you can see the structures without a tour. This is sort of a given isn’t it? Not many people can make it to Los Angeles without spending at least one day at Disneyland or California Adventure. It’s technically Orange County, but we won’t get too picky here. We are season pass holders, so go quite often and know the ins/outs and secrets to help entertain our guests to the maximum. If you haven’t been before, make sure to read our tips on planning a trip to a Disney park. For visitors who have mobility problems, rent a wheelchair. This will also help get you in to busy rides much quicker! For more on what to do and see during your visit, check out our ride guide for both Disneyland and California Adventure. This is in our backyard and is a must do for all of our visitors. Griffith Observatory is a great place to see LA from above to really get a sense of the massiveness of this grand city. You can also take a hike to check out the Hollywood sign if your visitors can manage. Otherwise enjoy the view, cool off inside with awesome exhibits and snap your photo with the Hollywood sign in the distance. If you want to get in some exercise, start your visit at the Trails Cafe and hike up to the Observatory after playing at the playground for a bit! Will you believe me when I say that hiking is one of the most popular activities for locals here? Look around and you will notice many people wearing their workout gear at all hours of the day. Chances are they are just returning from a hike or heading to one! We are also big hikers, so if our visitors can handle it, we always get them out on a trail. Our favorite family friendly, shady trail is Monrovia Falls. This is a great hike that can be shortened or lengthened depending on our visitors abilities. It’s not close, so does take some time to get to. If we can’t make it out to Monrovia, our back up hike is the Bat Cave near Bronson Park which guests enjoy or Fern Dell on the way up to Griffith Observatory. For young kids, check out these top hikes for toddlers. I’m doing a double here, because we have two favorite art museums we like to take visitors to – The Getty and the LACMA. The Getty as a museum can get a little boring for kids inside, but outside there is a whole world to explore. If you have visitors really into art, this is a great bet – let them explore inside while the kids play havoc on the grassy fields outside. The views are fantastic and everyone will enjoy riding the train up the hill. If you need to stay closer to town, the LACMA is a great day out. Kids will love playing in the spaghetti string exhibit, doing art in the Boone Children’s Gallery and pretending to hold up a massive rock in your photos! While you are here, don’t forget to check out the La Brea Tar Pits and picnic on the grass! On the way to or from the airport, a visit to LA is not complete without a stop at the famous Randy’s Donuts. This is a must on our family’s tour of LA. Stop in, try a sugar raise donut for mouth watering goodness. Go ahead and buy a few so your guests will have something to munch on their flight home. If you are lucky, Randy will come out and take a photo with you. If you are heading further south while in Southern California, make sure to check out the top 40 things to do in San Diego to prepare for your trip! Do you have other must do activities when you have visitors in town? If so, please comment below to share with all of our readers! 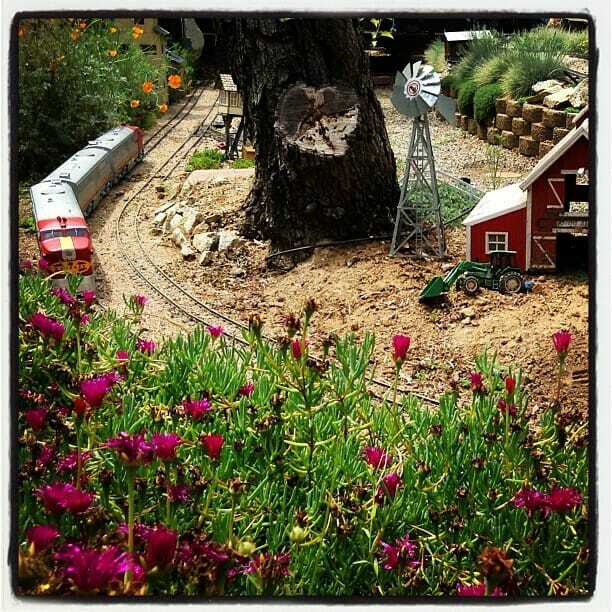 Don’t forget to check out the monthly free days at local museums and gardens to help plan your outings as well. The canals and Watts Tower are first on my list! I think it’s fun to get the insider view of LA, like the hike, that you don’t normally do as a tourist. There really are some cool things to do there. What a great list of places to take the kids. I haven’t been to either the Watts Towers or the Space Center yet. They are both on my list for the next trip. Thanks for sharing. I lived in LA 3 years and never even heard of Watts Towers! I have something to look forward to on my next trip there to visit friends. Thanks! I am always surprise by LA! It is a huge city by any standards, and that’s usually enough to make me avoid it! But, a good friend lives there and she always finds new things to show me. And you have done that too. Always good to have local advice! Oh wow, there are so many different things to do in LA, I didn’t expect this! The Watts Towers looks really interesting and if I ever go there in winter I’ll have to try sand sledding! I also like that you mentioned the Griffith Observatory because I always enjoy seeing cities from above. Thanks for sharing this guide. These are such wonderful recommendations! I am passing along to some friends in LA with children; however I think I would enjoy these attractions more than the kids.. especially the Observatory! Not that I can see myself having kids, but still, even without, there is some stuff there I would love to do. Especially Malibu. 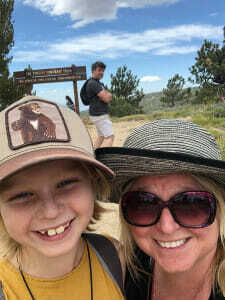 Fab list – we’ve been through LA quite a few times, though besides the main theme parks we didn’t realize there was so much available to do with kids. Monrovia Hike sounds like it would be a great idea – we always try to spend as much time outdoors exploring nature as possible, though didn’t realize there was much opportunity for this inbetween the hustle and bustle of LA. Thanks for changing my perception! I have to be honest with you, I had no idea there are so many things to do in LA, and specially attraction that are not linked with film industry. I´m a beach lover, so I would spend a few extra days only enjoy the coast! Nice list! I don’t even have little ones but want to hit up some of these places like Watts Tower lol.